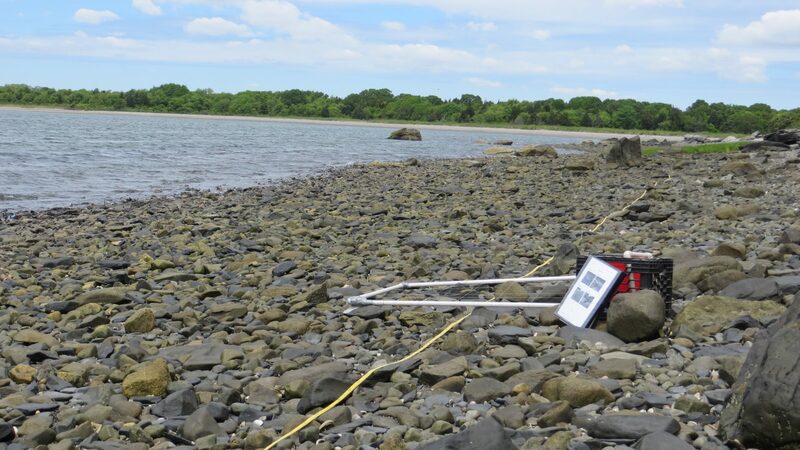 In addition to the Sentinel Sites salt marsh monitoring component of SWMP, the Reserve also conducts other biological monitoring in the Reserve and elsewhere around Narragansett Bay with its partners. Monitoring is diverse in scope and topic, ranging from discrete or short-term surveys of macroalgae and seals to longer-term hierarchal submerged aquatic vegetation (SAV) monitoring and mapping. Brief summaries of select monitoring components are provided below; additional monitoring reports can be found here. Submerged aquatic vegetation (SAV) is an important indicator of ecosystem health and knowing its extent and distribution is important for making informed coastal management decisions. While a full-scale aerial assessment provides the most comprehensive data, it isn’t always possible because of the high cost and time commitment. Therefore, the Reserve uses a rapid assessment approach using underwater video and statistical sampling protocols for efficiently and cost effectively mapping SAV within Reserve waters. 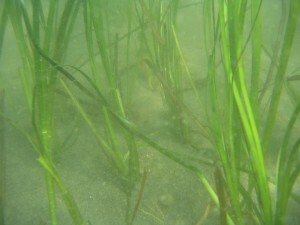 Eel grass Zostera marina in the Bay. Despite the potentially important ecological and economic effects of invasive species, relatively little research and monitoring has been conducted on these species in Narragansett Bay. This is true for the Asian shore crab, whose suspected distribution and high abundance in Narragansett Bay might have important effects on other estuarine species that live and forage in rocky intertidal habitats. 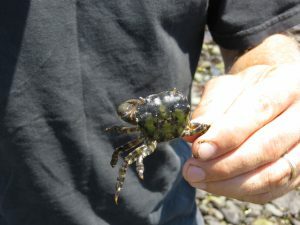 The goals of this project are to 1) quantify the distribution and density of Asian shore crabs throughout Narragansett Bay, RI, 2) quantify physical factors at each crab sampling site to help explain any observed patterns in crab distribution and abundance, and 3) assess the impact of this invasive crab to intertidal cobble beach communities. Asian Shore Crab, Hemigrapsus sanguineus at Potter Cove. 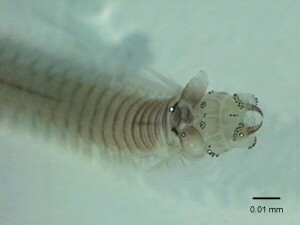 Benthic infauna is also an excellent indicator of eutrophication and ecosystem health, yet these communities are not being monitored over the long-term in Narragansett Bay. Although this program only started in 2010, it will provide excellent quantitative data over the long-term and allow for the assessment of community change over time. 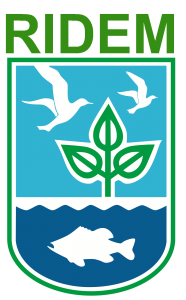 These data will be useful for scientists and managers as they evaluate the ecological effects of large-scale reductions in nutrient inputs into Narragansett Bay that will go into effect in 2014.